How do you know if your horse needs a musculoskeletal unwinding session? Inexplicable lameness – your horse goes lame, you do everything required and give him time off. You bring him back into work just to have something blow out and the lameness reoccurs. Your horse just never recovers to full soundness. You are having trouble getting him on a specific rein, maybe the right rein is fine but he is stiff on the left and acts up when you ask for a left rein. Your horse is heavy on the fore and just never manages to quite engage the hind end. 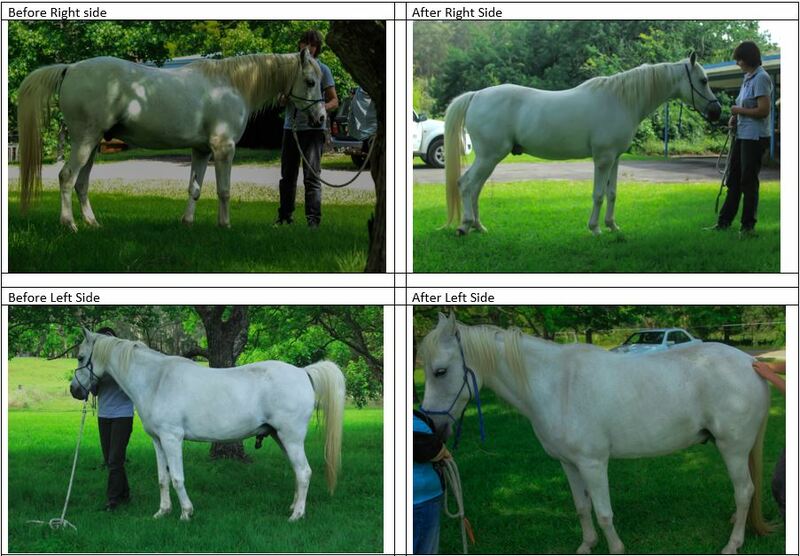 Your horse looks cow hocked from behind (meaning both hind legs are close together and turned out one side a slight bit more than the other or one side looks normal and the other is turned out). Standing at rest, the one front foot is always behind and the other always forward. You get a body worker out every 6 to 8 weeks and they seem to be working on the same issues every time. These are all signs of musculoskeletal issues happening in your horse’s body and needs to be addressed. Contact me if you want to understand more about what is causing this and how it can be resolved. Feel free to have a look around my website and post a question online.